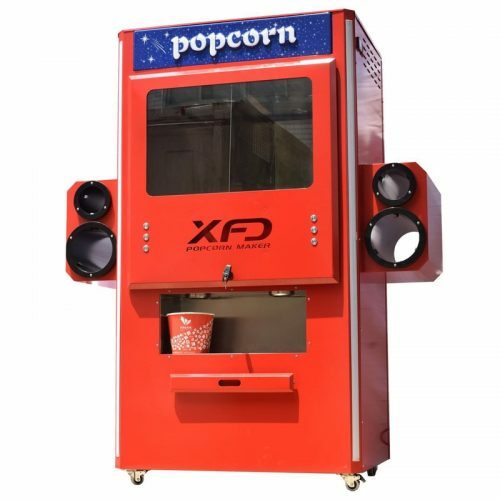 A self-service kiosk popcorn dispenser that simplified concession service and to avoid long queuing time. 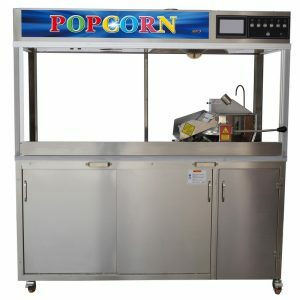 Popcorn can be dispensed out from a specific tray with a click of button. No manual scooping process needed. Double dispensing outlets make the whole process quicker. Exclusive re-circulation hot air conditioner system reduces energy consumption and maintain product temperature. 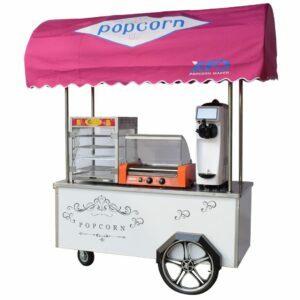 Design for front concession, with the transparent mirror to attract customer. Comes with wheels system for easy mobility and relocation. High efficiency heating and heat preservation system, the temperature can be adjusted freely, convenient and quick operation. Added with the divider which you can display multiple popcorn flavors. 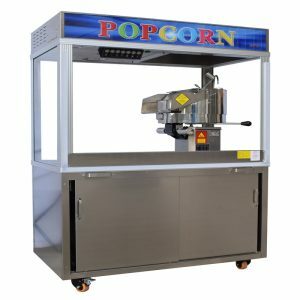 It’s perfectly for cinema concession and hypermarket.